Dine with us at one of our two convenient locations. Tosco brick oven pizza is different, starting with our cheese. All natural, no preservatives, filler and whitening agents or artificial ingredients. Our sauce has absolutely no artificial sweeteners, corn syrup or red dye. Our dough is a blend of whole wheat flour, barley flour & white flour for a perfect pizza every time. But pizza's not the only thing we're known for. Check out our wide variety of salads, pasta, hot sandwiches, cheese steaks, burgers, & more. Hosting a party? A party without food is just a meeting. Give us a call so we can help. Our experience was wonderful. Delicious food priced right, clean modern restaurant, pleasant service. 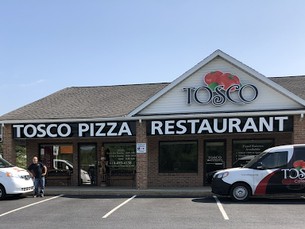 We will definitely help spread the word and recommend Tosco to our family and friends! My whole family enjoyed there food tonight, my Cheesesteak was amazing best I've had in awhile, toasted bun plenty of meat. We will be Regular Customer's. My Vote for Best Cheesesteak in Lebanon County if asked. Been there 4 times and the food is awesome , the Palm Beach salad is the best , love the Rosa sauce on the pasta dishes and the garlic knots are to die for!! We probably got takeouts here too often while our home was being remodeled. This place uses better quality ingredients than the average restaurant, and it definitely makes a difference! 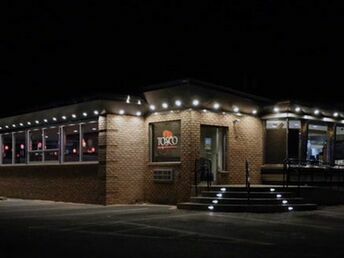 We love Tosco and would recommend them to anyone! I had the tortellini alfredo with chicken, and my wife had chicken Parmesan. Both were great, the garlic knots are awesome.